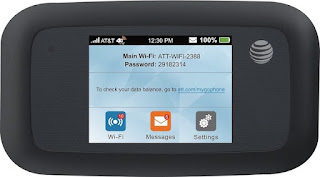 The Scampy Team has acquired an AT&T Velocity Wi‑Fi Hotspot! [Link]. This device may show itself capable of keeping the Scampy Team's Blog connected to the Net anywhere we make a Camp. Our Scampy Team now has a new Team Member! 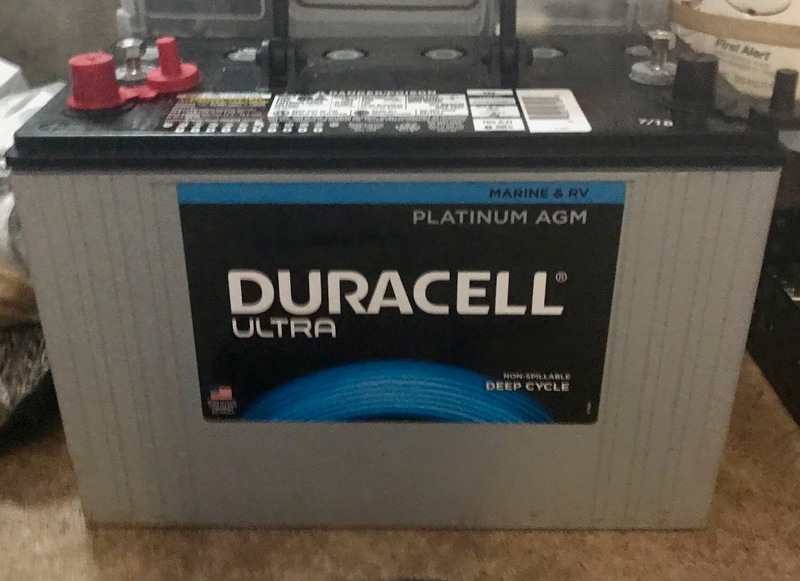 He's a House Battery. It is sooooo heavy, that George will need help to move the heavy battery into the cabinet where he shall reside forever more! The renown Scampy Team is pulling out of the City of Kalispell and heading southbound for Missoula. The Scampy Team shot this video just before we left our Camp near Zip's Place. We do not know why we were not able to upload the video to YouTube until now? Somethings just happen? Video at our Campsite showing the waters of the confluence of Geifer and Mule Creeks. This video stars George and that little ham bird, Baby Boid. Below are two images that Little iPhone asked to be placed on our Blog. George, I'm sure ATT has better coverage than T-Mobile, there are a lot of places a ATT hot spot does not work. In our travels I carry a Verizon Jetpack and an ATT mifi. Most places the Verizon works and thankfully I haven't had the issues you've had and it's generally accepted that the Verizon network has the best coverage. Sometimes my ATT hotspot works better than the Verizon. With two different carriers it increases my chance of getting online. Good luck with the Velocity. Does anyone know of a good Verizon or US Cellular mifi that one can activate when needed and only pay when it is activated? I need one once or twice a year but don't want to pay monthly when I only need it so rarely. There is only Verizon and US Cellular where I live, so it needs to be one of those two. Sprint lets me do that with my hotspot. Sue.... Call up a Verizon office and a US Cellular office and ask. Good to get info directly. We do that with our Verizon Mifi. We only activate one month a year when we are on vacation in Colorado. Thanks, Barney. Is your hotspot a separate device or are you using your smartphone? 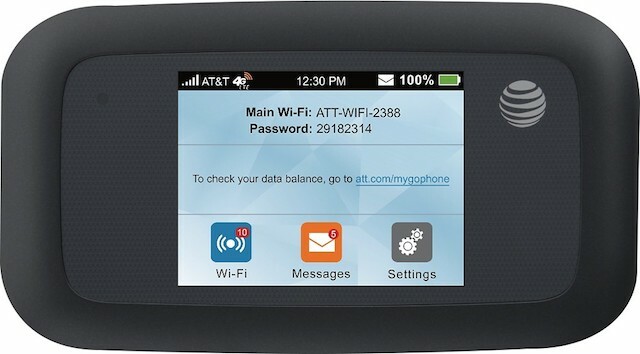 I am looking for a standalone mifi device, not a smartphone. Thanks! Straight Talk (Tracfone sold by Walmart) has $20 4G no contract hotspots. Tracfone service is multi-carrier (they lease service versus having their own towers) so the coverage area is robust. You can start and stop service at will, you buy 30 days at a time pre-paid via gift cards at any Wal-Mart or via billing to a credit card. Data plans range from $15 for 1 GB data over 30 days to $75 for 7 GB over 60 days. If you run out of data before the end of the service period just buy another chunk. A minor correction ... Straight Talk service is multi-carrier, even though Tracfone is the parent company, some other Tracfone branded products only use T-Mobile. The $20 hotspots are on the Straight Talk website, I don't know if they're in all Walmart stores. Thank you, Lou! I don't support Walmart but I will see if I can get Tracfone products anywhere else. If Walmart is the only place I might make an exception and get it there. Thanks! You won't have any problem stealth camping in Missoula. You can park on streets all night. Bretz RV has a nice dump station for public use. Looks like you're having a beautiful time. You are able to see that thru my Blogging! Great! I got myself a Verizon JetPack back about last July! Whatta joke. Verizon was not able to correct the quickly discharging and overheating battery. Verizon claimed that they did NOT stock those batteries. Also claimed, that the only way to get a replacement battery was to buy a NEW JetPack. My God! Can you imagine that? I'll tell you this about these carriers [ie; AT&T and Verizon]. In my opinion these two companies are vying for the grand prize for low business ethics. T-Mobile, on the other hand, is not only ethical & honest [Unlike Verizon and AT&T], but also nice to do business with!